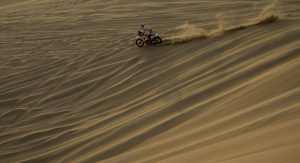 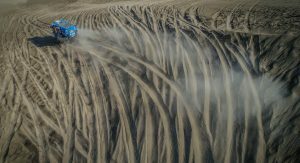 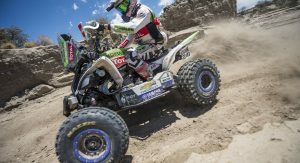 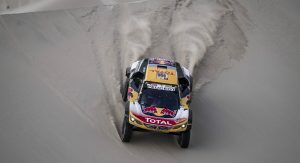 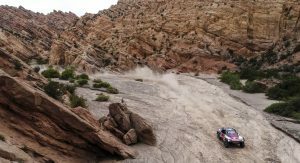 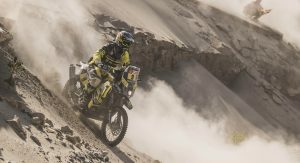 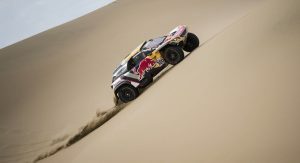 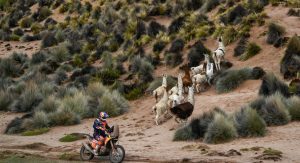 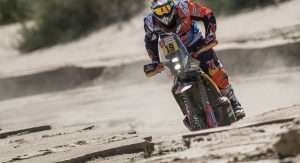 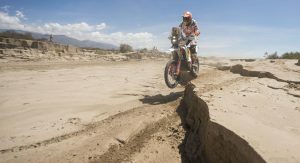 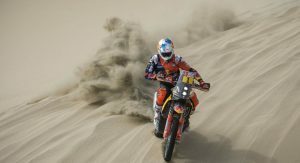 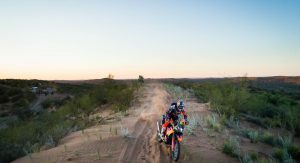 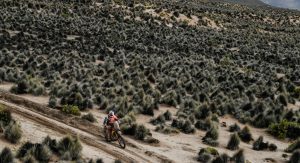 The Dakar Rally tends to be dominated in eras. 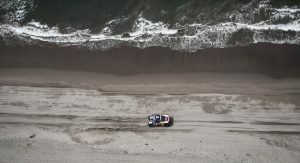 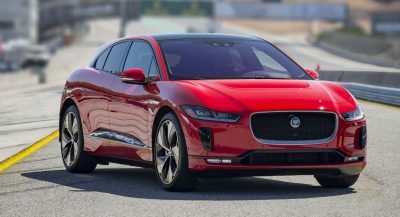 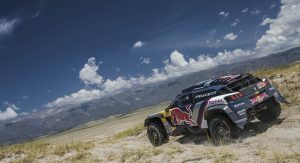 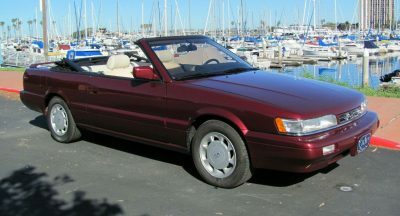 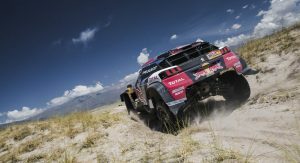 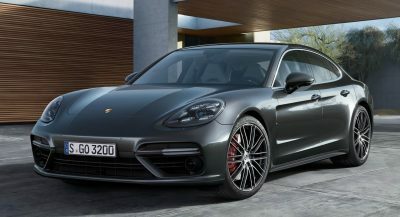 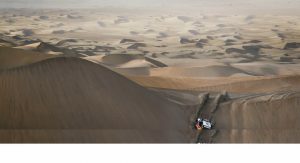 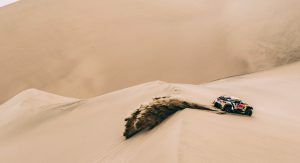 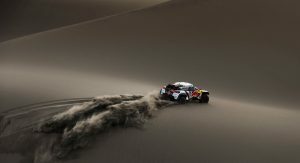 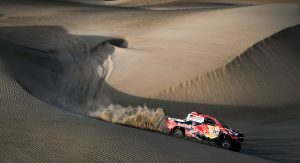 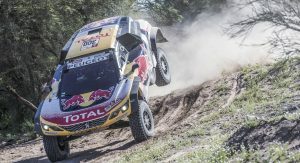 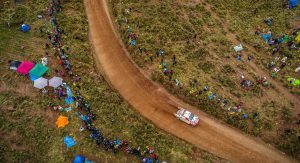 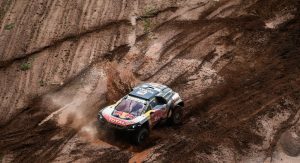 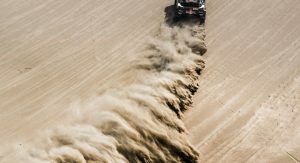 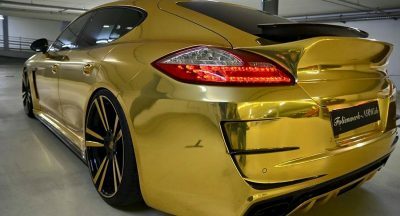 In the decade since the event moved from North Africa to South America, Volkswagen took three back-to-back victories, then Mini took four, and now Peugeot has claimed its third trophy in a row. 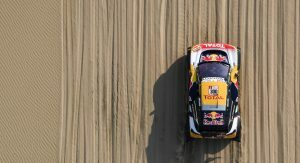 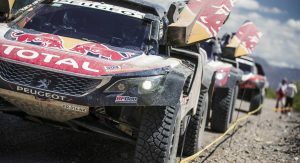 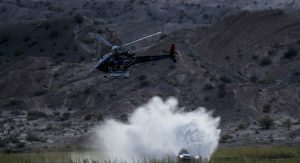 This time it was two-time world rally champion Carlos Sainz – father of his namesake F1 driver – who took the win in the 3008 DKR, handily defeating not only his teammate Stephane Peterhansel (who won the last two years), but also Toyota‘s Nasser Al-Attiyah. 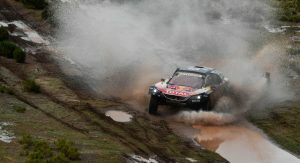 Ultimately the Peugeot drivers won 25 out of the total 48 stages – of which Sainz only took two. 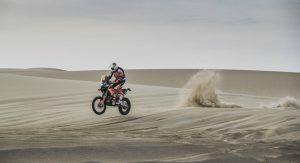 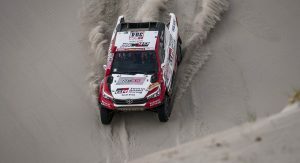 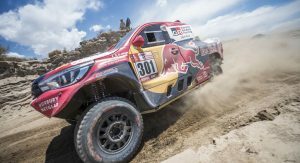 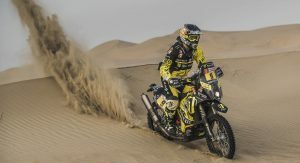 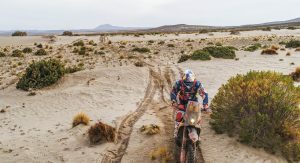 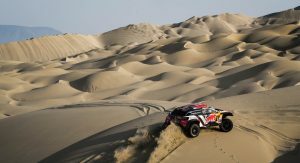 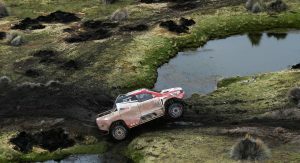 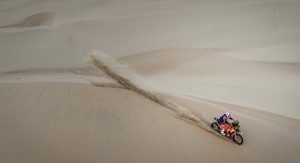 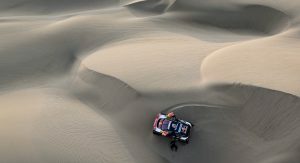 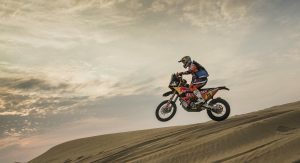 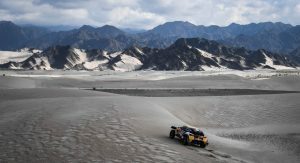 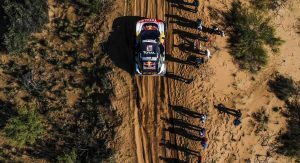 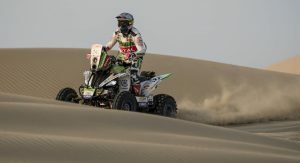 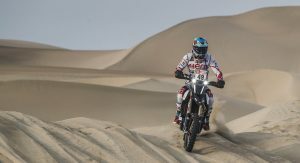 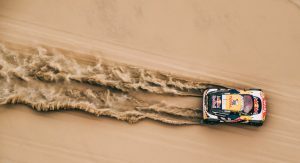 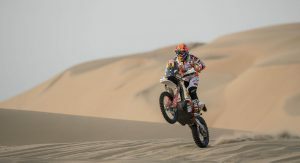 But that was enough to put him 44 minutes ahead of Attiyah – especially after a controversial penalty resulting from an incident with a quad-bike rider was later rescinded. 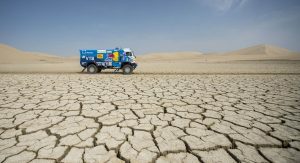 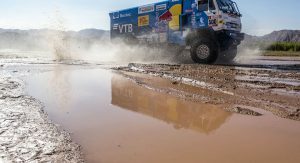 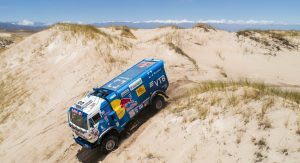 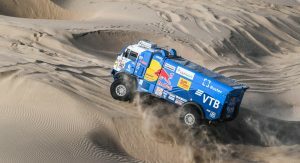 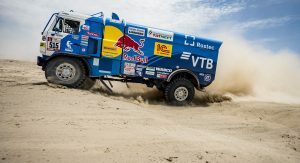 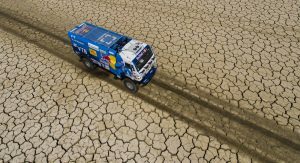 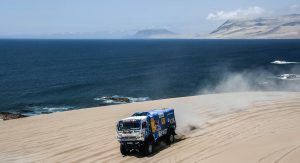 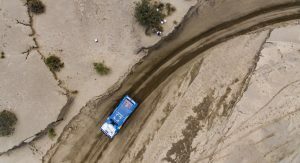 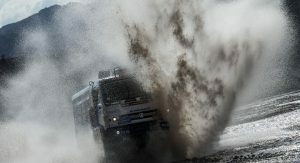 Elsewhere, the Russian team of Eduard Nikolaev, Evgeny Yakovlev, and Vladimir Rybakov took their second consecutive victory in their Kamaz 4326. 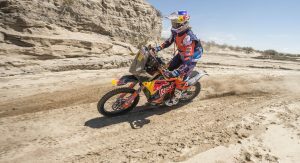 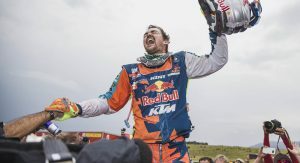 Austrian rider Matthias Walkner won the bikes category in the KTM 450 – the same essential model that has won eight years running, from the same manufacturer that has won every year since 2001. 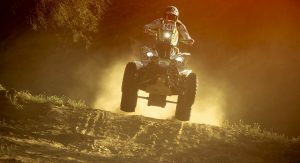 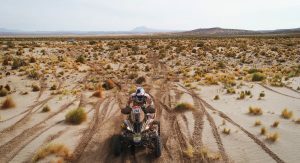 Chilean rider Ignacio Casale won the quad category with Yamaha. 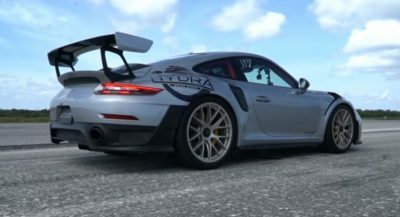 I wonder what’s the secret behind that :P.
because they put a lot, a LOT of money in their teams, and don’t sponsor people with no chances of wins. 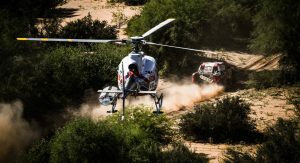 Lol I was making a joke about gives you wings, but hey fair response.